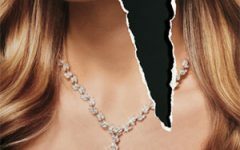 Jewelry retailers have been agonizing and arguing over the changes being wrought in our industry for 20 or more years. Mostly, they have cast aspersions on new channels and felt vindicated when those business models or channels they didn’t approve of disappeared. Avon no longer sells jewelry door-to-door, and it is hard to believe that it owned Tiffany for five years before selling America’s most famous jewelry brand just 23 years ago. It was then barely making 5 percent operating profit on sales of about $100 million. Regional wholesalers have disappeared, as have countless better-quality department stores. Many high-end independent stores were bought by Zale and ultimately homogenized into the Bailey Banks & Biddle division. Now that division is far smaller than the sum of all those acquisitions. Most memorable is the disappearance of the catalog showroom industry. I vividly recall watching retailers stand up in a public forum and threaten to cut off any diamond manufacturer that they found to be selling on the Internet. What they miss is a singular reality of commerce—it constantly changes and evolves to suit the public’s desires, and no threats in the world will make a difference. Public preference is to blame for the steady decline in the number of U.S. jewelry operations over the last 20 years. But I estimate that the number of rooftops selling jewelry has grown markedly. The competition has become fierce. Blue Nile is projecting sales this year of about $300 million, most of that in diamonds or generic diamond jewelry. Can anyone think of any diamond business that grew that large in less than 10 years? Blue Nile represents channel shift—a new distribution method that is making sense—compelling sense, I say—to many people. Blue Nile is only the best-known name, but the shift is much broader than just one company. Too many jewelers still think that they need to control suppliers, that they own the distribution, and that suppliers should not be selling against them. That’s channel conflict. But channel conflict should not exist between suppliers and retailers. Suppliers need to fight to build brands, and that requires global, multichannel access to the public. It’s the only way that volume and margins can be achieved, and that benefits everyone through the pipeline. Retailers should support that process and play the key role in distribution, not resist these efforts out of fear or a misplaced belief that the clock can be turned back. This type of business model is already working. David Yurman, Judith Ripka, and Links of London have active multichannel businesses, and there are more companies like them for sure. All of them have their own retail stores, a wholesale business, and they sell online. Some of these companies will place their own employees in retail stores that have a special section for them. That means those salespeople are specifically trained to sell that line. And more dramatic changes are on the way. Incidentally, history has proven that nearby retailers’ sales of a brand go up when a company-owned store opens in the area. If some of this reminds one of the cosmetics and couture business, it is no accident. Those industries understood long ago the need for broad circulation, sales training, and thorough multichannel marketing. If jewelry retailers are not up to the job of adapting to the new paradigms that are springing up, then they need to work with companies that can help them do it. In five years’ time—or less—it will be too late. It’s time the jewelry industry caught up.